Nokia is planning to entertain us with its best smartphones in the world after collaborating with Microsoft. 2016 became tough for Microsoft and in this competition year all present day mobile companies are pre planned with their best designed mobiles. In the same way Microsoft is also planning to release Lumia 650 which was announced long back. Released date was initially February but got postponed and finally it is going to launch in April. Nokia mingled with Microsoft and released top best mobiles and now with the same excitement it is going to release Lumia 650. Microsoft has more expectations as it is coming with more fascinating features. It is also well designed to attract youth in all aspects. Nokia is planning to release its best mobile devises in the year of 2016 as this is last year for Microsoft contract. 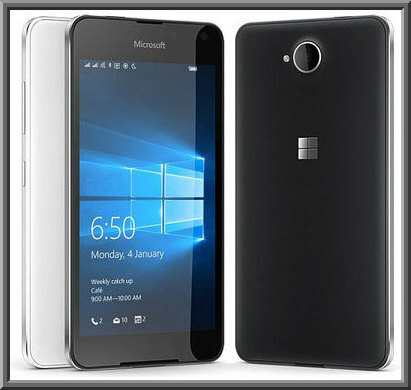 Availability and Display Features: Microsoft Lumia 650 price was fixed as Rs. 12,999 only in India. It was launched on 18th February, 2016. It is planning to come with many models in the 2016 as Microsoft contract is going to end by this year. Microsoft weighs 123 grams and with dimensions 142x 70.9 x 6.9 mm. 5.0 inch AMOLED multi touch screen with pixel resolution of 1280 x 720 pixels. Software Features: Microsoft Lumia 650 is designed with 2000 mAh non removable Li-Polymer battery. It is designed with Windows 10 Operating System. It is designed with 1.3 GHz Quad Core Qualcomm Snapdragon as processor. Dual SIM technology (3G+4G) and as of todays updates it will be available in only black and white colors. Battery and RAM: For Microsoft Lumia 650 internal memory is designed with 16 GB and can also expandable up to 200 GB using microSD. 1GB RAM.